Since this is Halloween week, I felt a vintage photo was due today. I really hated those costumes with the plastic masks. My Mom always made my costumes, she was a great seamstress and my outfits were always cool. 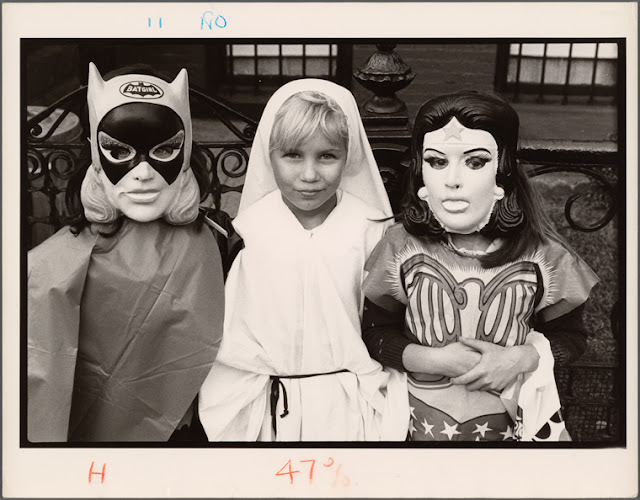 I would be the girl in the middle here, with a homemade costume. Did you have a favorite Halloween costume?